"The Victoria Cross is heavy, I try to live up to it every day. 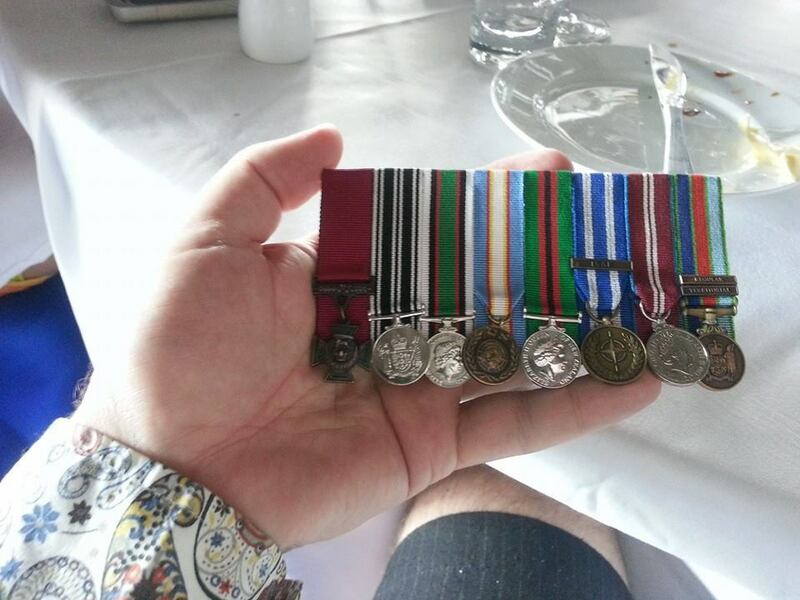 It's a burden upon me and upon my family, a burden which every New Zealander who holds my medals helps me carry." --Willie Apiata. I held a Victoria Cross in my hand today, and took the opportunity to congratulate its recipient. A distinct honour. And topical. I suspect I was one of few in the room who realised I was holding a piece of Ukrainian history. People have heard of Florence Nightingale's medical advances and The Charge of the Light Brigade, maybe even the Siege of Sevastopol. Few realise that each of these occurred during the Crimean War, 160 years ago. Fewer still, realise that each Victoria Cross is fabricated from two Russian cannons captured during that siege. The Crimean peninsula is one of the most strategically important points on the planet, precisely because it is home to the only warm water port available to each in their time, the Russian Empire, the USSR and the Russian Federation: their only port which doesn't freeze during winter. New Zealanders particularly, should know this. The Gallipoli campaign during the First World War a century ago had a singular objective: ensure Allied control of the Dardanelles, the waterway between the Mediterranean Sea and the Black Sea, so that Russia could be relieved by the Allies via the Crimea. Our failure to secure this objective led directly to Russian capitulation in the Great War. 160 years ago our fore-bearers were so conscious of the importance of the Crimea, that enemy cannons from the battle have been used to fabricate the highest military honour available to Commonwealth soldiers ever since. A century ago our great-grandfathers were so conscious of the importance of the Crimea they laid down their lives in great numbers in an attempt to secure access to it. And today I held a piece of those cannons, and reflected upon the knowledge that we seem to have forgotten.